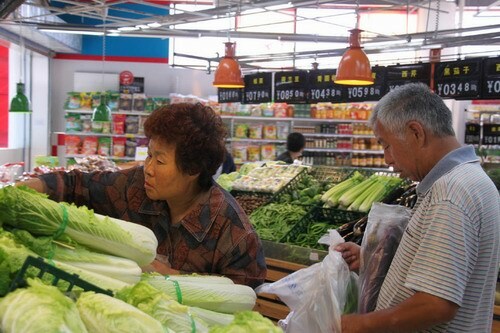 Six supermarkets in Sanya started selling cheap vegetables Dec.4 to offset food price hikes, according to the local price control bureau. The six fixed selling spots are Wanghao Supermarket, Nanguo Supermarket, Baijiahui Supermarket, Tiancheng Supermarket, Fuluckdo Supermarket at Mingzhu Square and Wanghao Supermarket at International Shopping Mall Center. These vegetables, falling into 20 types, are being sold at prices of 20% to 30% lower than those of conventional markets. Each customer can only be allowed to purchase a maximum of 5 kilos per time. It is a new service subsidized by the city government to help residents deal with sharp increases in food prices. Subsidies will be given to the operators of the supermarkets. Meanwhile, the city also plans to spend half of its governmental finance on the improvement of people’s livelihood over the next 5 years.